Regulations to tobacco use (see list) – Royal Times of Nigeria. Nigeria’s Health Minister, Isaac Adewole announced nine regulations in the Nigeria Tobacco Control Act to be implemented by the federal government. 2. 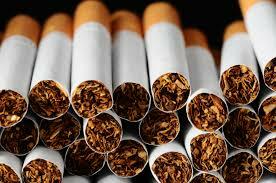 Ban of the sale of cigarettes in single sticks; cigarettes must be sold in packs of 20 sticks only. 4. Ban of sale or offer for sale or distribution of tobacco or tobacco products through the mail, the internet, or other online devices. 7. Prosecution of owner or manager of any of the places listed above who permits, encourages or fails to stop smoking in the above-listed places.